A new dinosaur Dreadnoughtus schrani has been found in Patagonia. It lived 77 million years ago and was 26 meters long. Paper here. Argentine scientists have developed a tool, available online, that allows one to calculate the ecotoxicological risk of using pesticides (herbicides, insecticides, fungicides). A group of Chilean students developed “Seeds,” an application for mobile phones and tablets that allows the user to process information on plant care for gardens and orchards, from the purchase of materials to solving problems. The ALMA telescope, located in Chile’s Atacama Desert, has documented the collision of two galaxies. 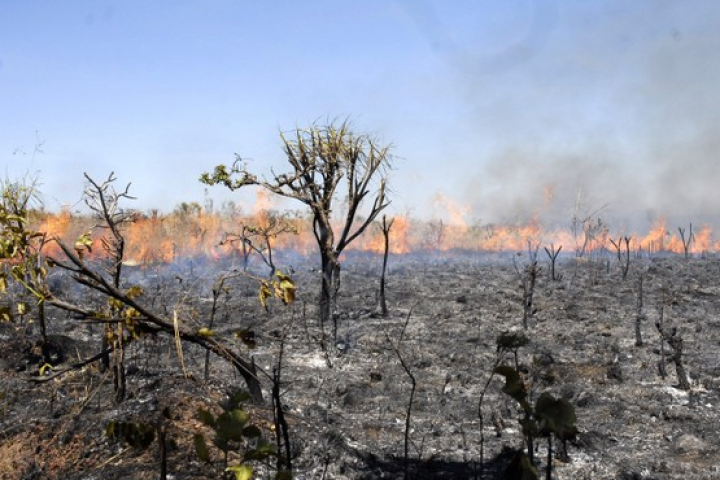 The deforestation by fire of the Brazilian Amazon is contaminating Peru, Bolivia and Paraguay, according to a study based on satellite data and mathematical models. These fires generate “smoke plumes” capable of being transported by air currents to cover 5 million square kilometers. A Colombian researcher has identified the antimicrobial properties of the larvae of a species of tropical fly. The compound is effective in treating Escherichia coli and Staphylococcus aureus bacteria. The research could enable the development of drugs to treat infections.